A while back, while sitting in a bar drinking with my friend Thomas, I lamented about needing to come up with more blog post ideas. He said I should write a post about him… and about beer. I was intrigued, but even in my tipsy state I knew I needed more of a hook to make it work. He is loads of fun and beer is pretty awesome but still, there had to be something more. We ordered another round it dawned on me: Brewfest! Cheers to 25 Years indeed! I may not be traveling at the moment but he was here on a three month visa from Ireland and that counts as travel – even if it is someone else’s. 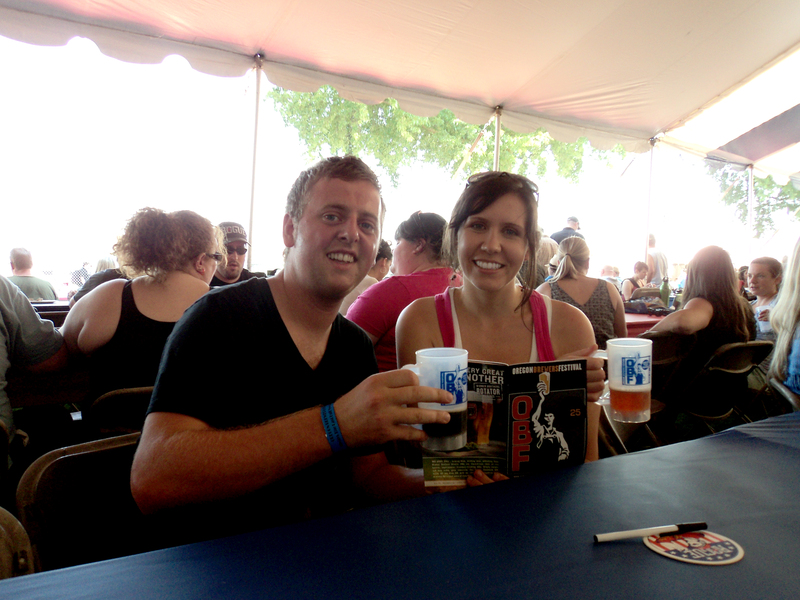 Also, Brewfest is a popular annual event that someone traveling to Portland would definitely want to hit. “It’s perfect!” I exclaimed, and just like that a travel-blog-worthy idea was born. According to several sources, including Wikipedia, Portland has more brewpubs per capita than any other city in the United States. To celebrate these (and others from around the country) people come from all over to imbibe at the Oregon Brewers Festival. Yes, I get most of my information from Wikipedia. Last winter, when the website shut itself down for an entire day to protest SOPA and PIPA, it nearly killed me. On Thursday, July 26th – the first day of the festival, we walked down to the waterfront together. He was nursing a hangover and with the temps in the 80s we were both about melting by the time we got there. But, with a little food for him and some water for the both of us, by half past 1 PM, we were ready to start our day of beer tasting. 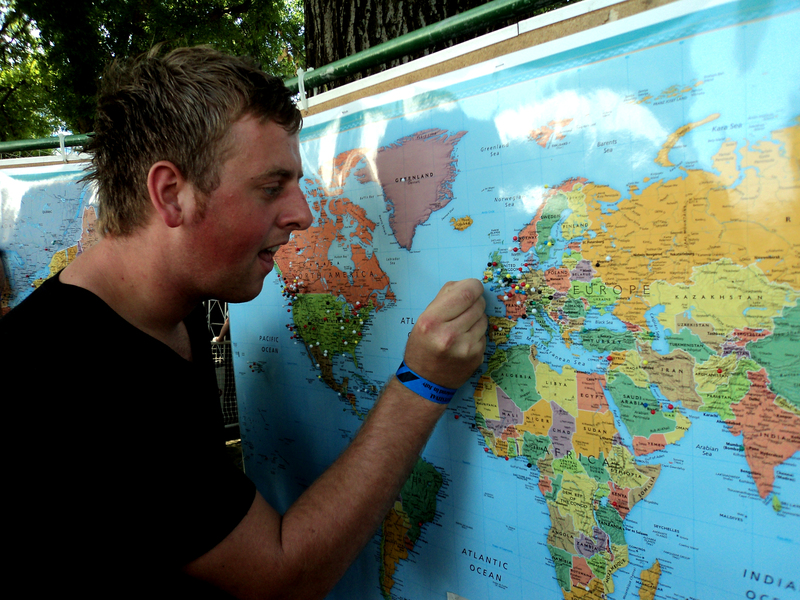 Before we got started he did take the time to put a pin in Ballybunion, Ireland. Gotta represent! 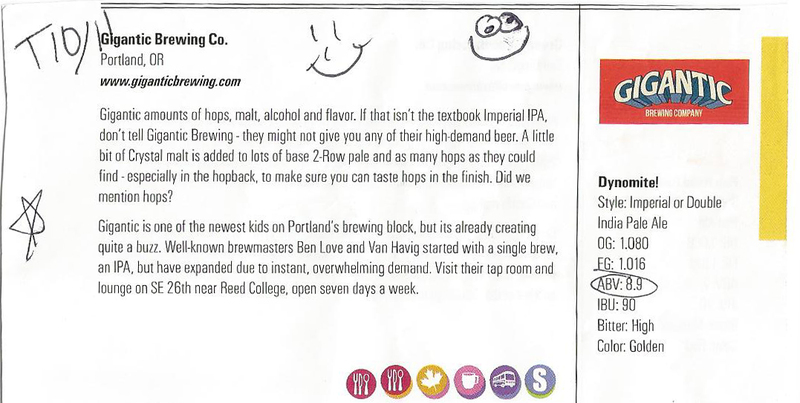 Initially, the options overwhelmed us and after standing in the first line, tasting our first beer and recording our first notes we knew we needed a more structured course of action. 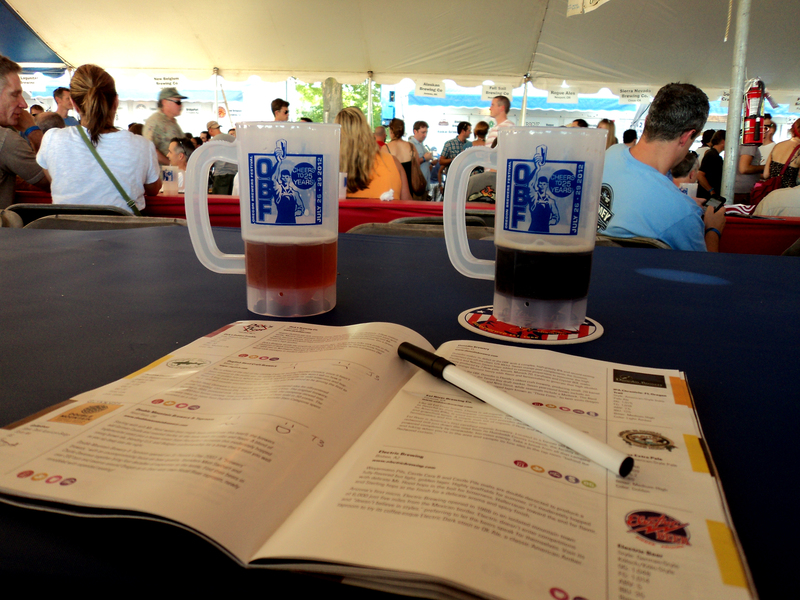 Browsing through our 2012 Brewers Festival program we settled on the following game plan: pick beers with the highest ABV (alcohol by volume). Once we had a system, we were unstoppable. We each got our respective choices and tasted away, time and time again. Going for different beers and then trying each other’s allowed us the opportunity to cover more tasting ground – with the added perk of being able to switch mugs if we liked the other’s better. Clearly, germs weren’t our concern that day – a small price to pay for a good brew. With our new system in place we needed an equally effective rating method. We chose faces; they ranged from frowny faces to queasy faces to exuberantly smiley faces. Some we agreed on, others not so much. Being Irish, he of course loves a good, dark, Guinness-like beer. Being a Portlander, I prefer a more hop-heavy style. 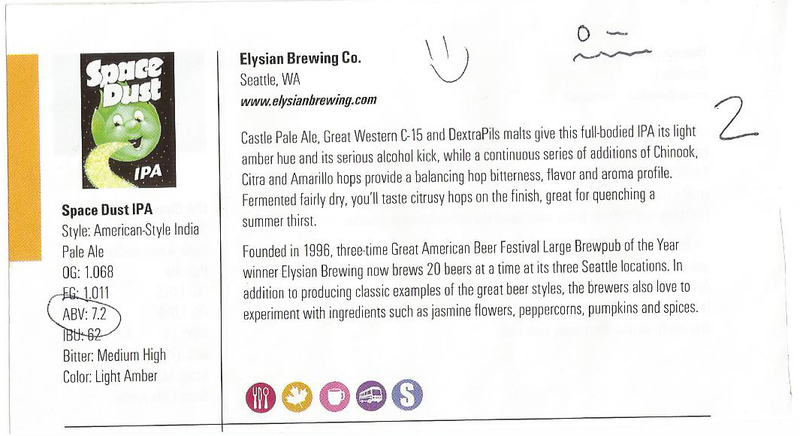 Below are some of our official tasting notes. Smiley faces read from left (mine) to right (his). Pay special attention to the professionalism represented here; if you should ever find yourself with a bunch of pretentious drinkers, this is definitely something you should try to emulate with your own notes. Some, I liked and he didn’t. Some, he liked and I didn’t. 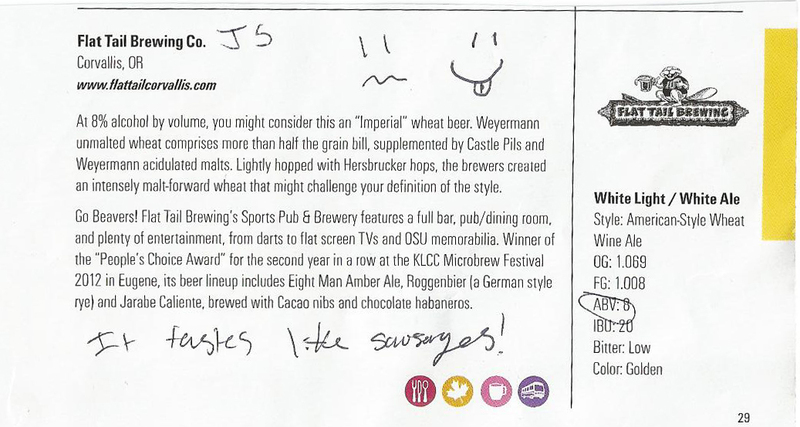 Also he noted, fairly accurately, that this particular beer tasted like sausages. And some apparently inspired both of us to include eyebrows on our drawings. All in all, the day was a success. We had some beers we liked and some we didn’t and we learned that Brewfesting for five hours before my husband and our other friends got off work and joined us is a sure way be the drunkest get in the most tasting experience. Go us! When: Always the last full weekend in July… but check their website anyway to make sure. Where: Tom McCall Waterfront Park. It’s a huge event – you can’t miss it. Also, if you have time, you’re only a few blocks away from this. Who: Obviously, only 21+ can drink but kids can attend if they’re with their parents. There’s entertainment, a root beer garden and other fun stuff. Cost: Free to get in. Mugs cost $6 and must be purchased if you want to drink. Tokens are $1 each and can be spent the following ways: 1 token for a 3 oz. tasting or 4 tokens for a full beer. Why: To enjoy good beer of course. 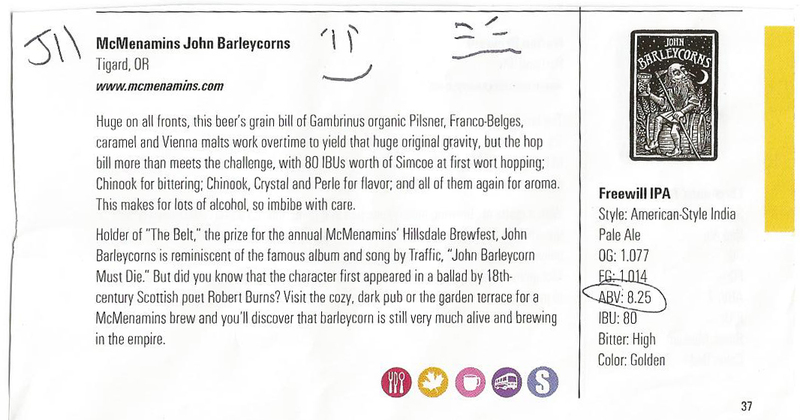 Beer coinsures will love all the variety and non-coinsures will love acting like they know what they’re talking about (see the smileys above). Save your mug and extra tokens to use later in the weekend. You might not plan on going back but you almost always do. You tend to get more beer (both by volume and variety) for your buck if you opt for the 1 token tastings rather than a full beer. But, on a busy day when the lines are long, this might not be the way to go. The bathroom situation is porta-pottys but in my experience they’ve been surprisingly clean and efficient. There’s not nearly the line you might imagine and the hand-washing station is regularly stocked with soap, water and hand sanitizer. Free admission means you can come and go as you please. The food inside is no doubt tasty, but with long lines and stadium pricing it makes more sense to check out the nearby food carts for more options. So there you have it, an inside look into how I come up with and execute my blog post ideas. My brewfest buddy is back in Ireland now, no doubt enjoying a Guinness somewhere, but hopefully he’ll see this post and tell his fellow Irishmen about a good day, in a good city, drinking good beer. Maybe he’ll even mention the one that tasted like sausages… to which he gave the very prestigious tongue-out smiley face rating no less.